Tomi Fujiyama in “Made in Japan,” a film by Josh Bishop. Photo courtesy of Josh Bishop. On the night of Nov. 9, 1964, the Grand Ole Opry’s renowned country-western showcase boasted its usual who’s who of country stars. But following the distinguished Johnny Cash, the audience received a happy surprise. 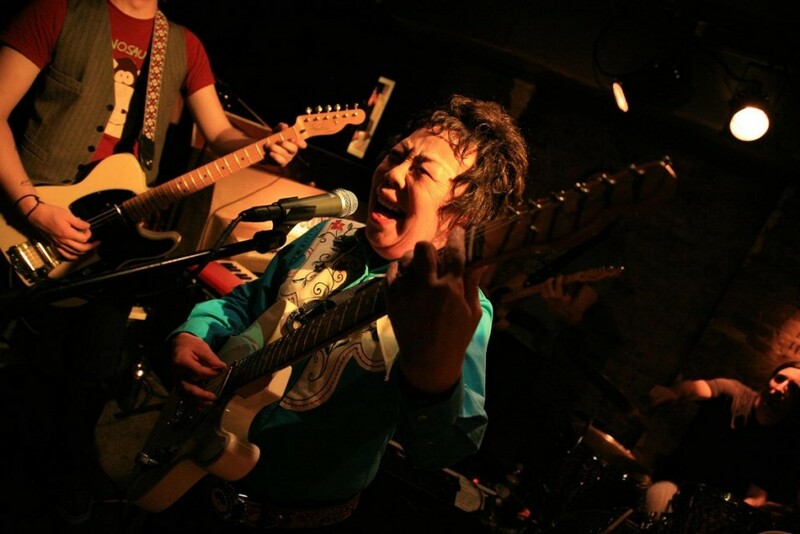 21-year-old Tomi Fujiyama took the stage — the first Japanese performer to do so. Fujiyama’s compact frame at 4-foot-11 and shy speaking voice gave way to a tremendous performance that rivaled any country legend. When she unleashed her favorite song “Tennessee Waltz,” the young performer blew the crowd away. She received the only standing ovation of the night. For nearly a century, the stage at the Opry in Nashville, TN has represented the Holy Grail for country music performers. At times made up to resemble the front of a barn as a nod to the genre’s humble roots, it hosts the longest-running radio broadcast in history, but to stop there would be an injustice to the program’s significance. From the 1930s through the 1960s, country-western royalty, from Garth Brooks to Dolly Parton, performed there. The Opry helped establish the bedrock of American country music and championed countless rising stars. Forty years after Fujiyama amazed audiences in Music City, her story enticed director Josh Bishop, who was searching for material for his first feature-length documentary. Bishop was fascinated by reports of this stunning Japanese country singer, but Fujiyama had not been back to America in several decades. When the American director sought her out in Yokohama, Japan, her spirited live performance made an impression on him. He heard Fujiyama’s entire saga: her famous performance alongside Johnny Cash, the years spent touring Army bases in Southeast Asia, her brutal contracts in Las Vegas, and her dream of performing once more on that godliest of country-western stages. In an instant, he knew this would be his first feature film. Bishop provided Fujiyama the chance to finally return to the United States, helping the artist arrange an American tour, which the pair hoped would end with a triumphant reappearance at the Opry. That tour took 11 years to come to fruition, and Bishop documented the whole experience in his new film, Made in Japan, which recently premiered at SXSW. Though the Opry comeback performance never materialized, the film finds solace in country-western fans themselves, who express unending support and admiration for the spirited 75-year-old performer from across the world. Ultimately, Made in Japan is a tale of unflinching courage, ceaseless persistence, and the music that drives one vibrant woman. GALO: I’m interested to know how Made in Japan first came about. Tomi, were you planning the US tour and return performances before Josh approached you about a documentary? Or Josh did you help organize Tomi and Shoichi’s (Tomi’s husband) trip? Josh Bishop: We started making Made in Japan when I was about 24-years-old, 11 years ago. At the time, I was married to a Japanese jazz singer. When we got married, we went on a trip to Japan. My ex-wife used to take vocal lessons from Tomi. She had always told me about this woman. When I finally got to go to Japan, I finally got to go to one of her gigs in Yokohama. After the show, I found out about her whole history, including that she’d been on the Grand Ole Opry. It just stuck in my mind. The next day, we went to another show, without Tomi. I found myself unable to concentrate on the music in front of me because I could not get Tomi out of my head. All of sudden, it came to me: I’m going to make a movie about this woman and get her back on the Grand Ole Opry. A couple of days later, we went to her house in Tokyo to meet with her and her husband, Shoichi. I found that they had all of this memorabilia, her whole life in photographs. It just made complete and total sense. I saw the whole film in front of me. I did not know it was going to take 11 years. GALO: Tomi, what did you first think when Josh broached the idea of a documentary? Tomi Fujiyama (via translator Harue Ehrlich): It made me very happy. GALO: I can imagine how thrilling it would be to hear someone wants to make a movie out of this great story. Josh, you had done several short films before Made in Japan. What convinced you that this story was worth a feature-length picture? JB: To be honest, I was young. I was on the hunt. I was looking for a film that I could make. I was looking for money to do a film. Short films are great; they’re a great way to exercise your craft. But I knew that if I was going to succeed, I needed to make a feature. I also knew it would have to be a film I could work at one step at a time — something I could chip away at. Tomi’s story was there. All of the parts were there. The photographs were there. I knew where we needed to go. I envisioned the whole movie in five minutes. GALO: And how did Morgan Spurlock and Elijah Wood get involved? JB: I’ll talk about Elijah first. Back in 2005, when I first approached my producers, the Diamond Brothers, I had already shot some material. Originally, they were editors on the project. At the time, they were powerhouse editors, [but] I just wanted them to help me cut together this little piece to use as promotional material to find funding. They’re personal friends of Elijah, and Elijah is a huge media buff in his own right. He came by the office one day — we showed him the project and he was like, “This is rad.” We asked him to get involved in a deeper way and he agreed. We just had a really great, mutual working relationship. He helped us out a lot. It’s important to say that my film was edited by two people: Julie “Bob” Lombardi and Victoria Lesiw. Julie Bob cut Super Size Me, and that’s an amazing film. She’s maintained a working relationship with Morgan [Spurlock]. She also cut Where in the World is Osama Bin Laden. Organically, when we were finished, she showed it to him and he was blown away. And that’s how it came together. GALO: Transitioning a bit into the content of the film, Tomi you began singing country songs because that’s what the American soldiers in USO shows wanted to hear. Beyond pronunciation troubles, which you fixed early on, did you have any trouble connecting with the music or did the genre come naturally to you? TF (via Ehrlich): I did have trouble with the pronunciation, but not much more. Most of the soldiers on the military bases were southern, and country-western is what they wanted to hear. I didn’t have much trouble sliding into that music.